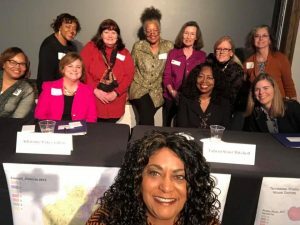 On November 4, 2017, Deidre Malone participated in the Run Women Run Workshop sponsored by the Memphis Area Women’s Council, League of Women Voters of Memphis and Shelby County and the Memphis Chapter of the Coalition of 100 Black Women. A coalition of women’s groups is supporting and endorsing the project. Malone, and other current and former elected officials and former candidates participated in the event. The workshop was held a Rhodes College in the Buckman Auditorium.